Split into six sections Winter Skills includes: Winter Environment, Basic Winter Skills, Snow and Avalanche, Security on Steep Ground, Winter Climbing and Winter Incidents. 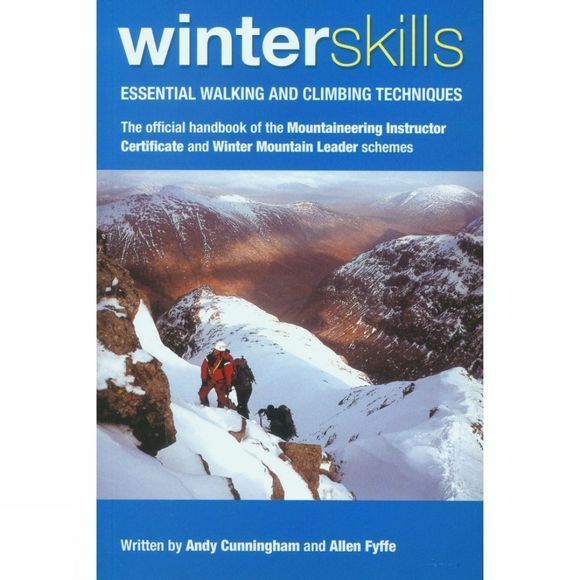 In each section the text is aimed at everyone involved in walking and climbing in winter with specific advice (in text boxes throughout the book) for instructors and leaders. The authors makes reference to the range of hills and cliffs of the UK and Ireland and the text and illustrations acknowledge the diverse range of people who enjoy winter mountaineering.